Jeremy Barnhart is a co-owner and VP of Franchise Development at Apex Fun Run. Apex Fun Run helps schools raise funds for equipment and other campus needs through a two week character building and leadership development program that culminates with a student “run” to raise donations for schools. 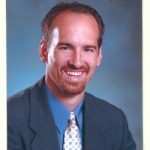 Jeremy has a background in accounting and other business ventures, and he currently lives in Scottsdale, Arizona with his wife and three sons, who keep him very active with their various involvement in sports. “As entrepreneurs, we’re not good at everything to run our businesses successfully,” Jeremy Barnhart says. He encourages us to become more self-aware about our strengths and weaknesses so we can do what we’re good at and hire out the rest. Here’s a fun look at the great things Jeremy and his company are doing for kids.